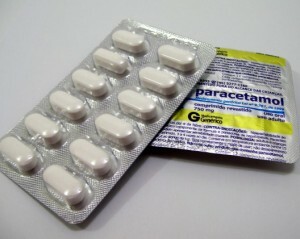 Panadol (Paracetamol) is an acetaminophen containing medication that is sold outside of the United States. Although it is generally considered safe, there are some side effects that can be life threatening. These include jaundice, clay-colored stools and a low-grade fever with stomach pain and loss of appetite. Although these side effects are mild and usually not serious, those that last for more than a few hours or become extremely bothersome should be immediately reported to a physician. Panadol is a mild medication that is sold over the counter, but the risks associated with side effects are very real. Patients who experience any of these side effects should stop using the medication and contact their physicians or seek emergency medical care. Signs of an allergic reaction require immediate attention and include difficulty breathing, severe skin rash and swollen lips, tongue and throat. Patients taking Paracetamol should be aware that long-term use of the medication can cause serious liver damage. The damage that the liver sustains is often worse when the patient drinks more than two or three alcoholic beverages per day, so it is very important for these patients to be candid about their alcohol use with their physicians. Patients who consume three or more alcoholic beverages per day may be asked to stop drinking or seek another drug other than Panadol for their treatment. Patients who have experienced liver failure or liver cirrhosis may not be able to use Panadol; this should also be discussed with a physician prior to taking the medication. If any of these side effects are noticed, immediately stop taking the medication and seek medical attention. These side effects can be life threatening if left untreated. There have been numerous studies in regard to the use of Paracetamol in the elderly and it is generally considered a safe medication when used as recommended. The maximum daily dosage of Panadol may be lowered for some elderly patients based upon prior risk factors and lowered body weight, but three grams daily is considered safe. Elderly patients who are prescribed narcotic pain relievers or other medications that contain acetaminophen as an active ingredient should avoid taking Panadol unless it is being used in place of these pain relievers. Caregivers should closely monitor elderly patients in order to ensure that they are not taking more than the recommended dose. While Panadol is a safe medication that can be purchased nearly anywhere without a prescription, patients should be aware that even mild medications can cause serious complications if they are not taken as directed. Patients who experience Panadol side effects should consult with a physician and sometimes stop taking the medication.